Sorores, the new 90-minute double album from Native Harrow begins here, with a 12-minute suite covering the collapse of a close loved one on the New York City subway and an exploration of a nostalgia for a human connection that may never have existed. The debut LP Ghost (2015) established a soundworld somewhere between British Folk Rock and Laurel Canyon Folk. This 17 track followup blows things wide open to make way for darker avant-garde folk, art rock edginess, sitar solos, west coast jazz, middle eastern rhythms, and desert psychedelia. The two members of Native Harrow, vocalist/guitarist Devin Tuel and multi-instrumentalist Stephen Harms, surround themselves on stage with a collection of open-tuned acoustic guitars, pawn-shop electrics, basses, acoustic strings, and a few drums and keyboards. moving deliberately and inquisitively through the sonic worlds inhabited by the material. The music of Ghost and Sorores have been worked through on stages and in rooms throughout North America on the back-to-back Sorores Tour and World Gets Quiet Tour throughout 2017. The two-piece will begin 2018 with the 100+ show New Year Eyes Tour. VINO is a killer acoustic duo, Chris & Mike Vinopal. Mike first met Chris, shortly after his birth on Christmas Day, 1982 in the Northwestern suburbs of Chicago. Chris at that time was precisely 1 month, 15 days old, having just been born himself on November 10th of the same year. They became immediate friends in a massive close knit Vinopal family. Music was always around, and in 8th grade, they wrote their very first songs and started their very first band, Frozen Fire. This led to subsequent bands with terrible names. The Happy Fishermen. The Phishermenz. And of course, the best band in the lando, Fred Bando. A full decade after graduating high school and living on opposite sides of the country, Mike & Chris returned to Chicago and began writing songs as V I N O, and this time the songs were good. Not just good, but great! Classic and familiar while remaining unique, creative, and emotive. Selections from all EP’s can be found streaming on SoundCloud while the duo continues to record original songs. 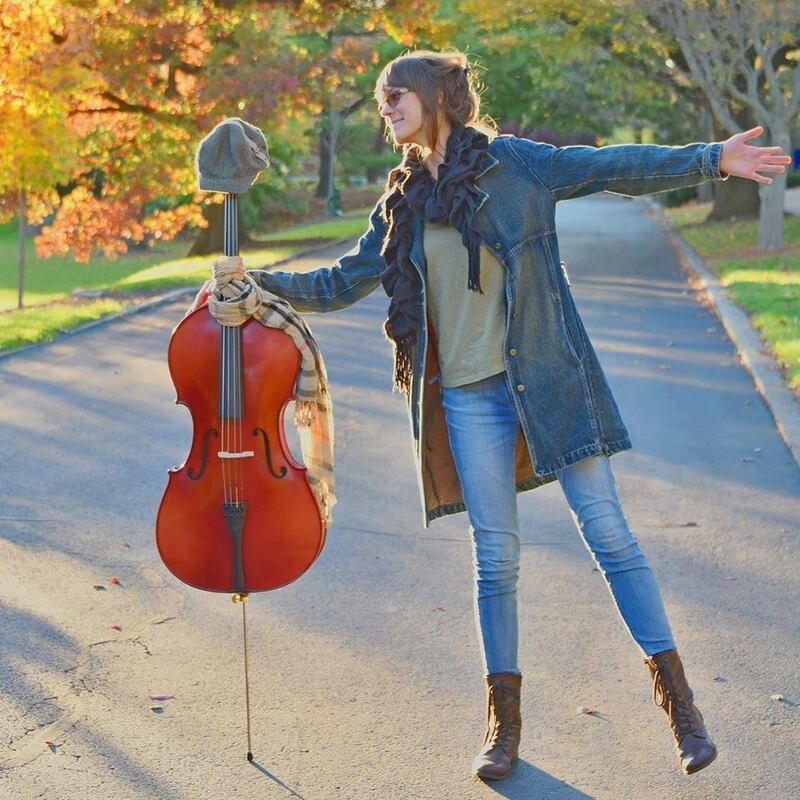 Adela Skowronski is a cellist, pianist and singer-songwriter from the Chicagoland area. She currently attends Elmhurst College, pursuing a Bachelor’s Degree in Music Business with minors in French and Music Composition.She's free-spirited, diverse, and associated with many projects including an all girl blues/rock band, a metal group, occasional composition for string quartet. Her newest project is a folk group called "Adela's", which draws from folk, pop, classical and rock. In addition to the above, Adela is also the founder of underground Chicagoland radio program "The Underbelly Hours", and works across music + arts programs in the area to host fundraising concerts and bring communities together.